Valet and Street parking is available at the Adrienne Arsht Center. Events, Weddings, Bar/Bat Mitzvahs, Graduations, Birthdays, Anniversaries or any other special occasion you may have in mind. The Terrace can accommodate up to 150 with a view of downtown Miami and the Plaza. Inside seating at the restaurant can be reserved for up to 100ppl. Have chef Brad Kilgore and his award winning culinary team cater your next event both onsite and offsite. Contact us today. 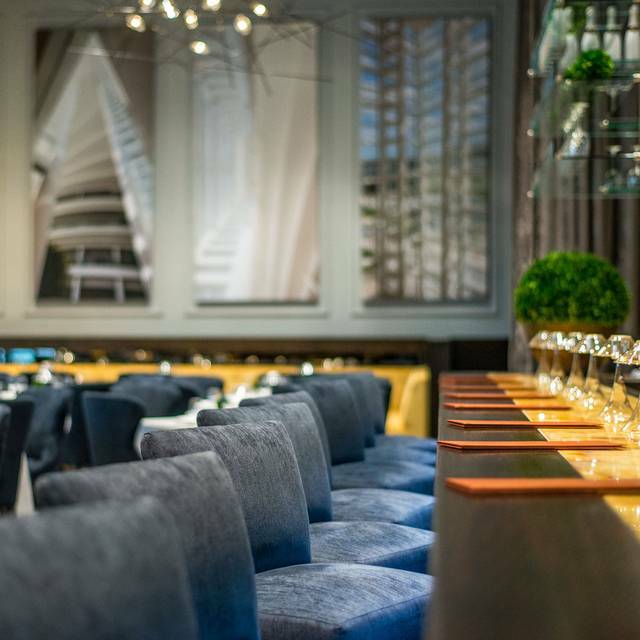 Experience an Italian-based, a-la-carte menu crafted by James Beard award finalist Chef Brad Kilgore. 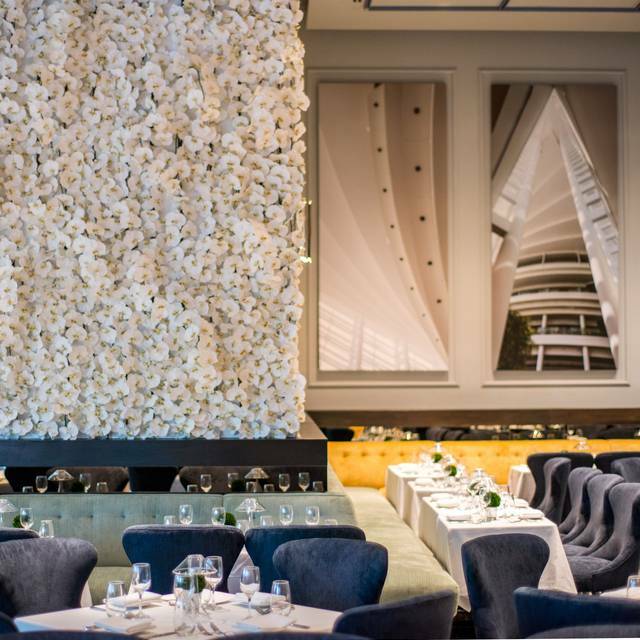 Recognized as one of the “10 Hottest Restaurants in Miami” by ZAGAT.com and located inside the Arsht Center, BRAVA By Brad Kilgore is the perfect setting for a complete night out including dinner and a show. Chef Kilgore’s accolades include being recognized as one of 2016’s “Best New Chefs in America” by Food & Wine magazine and Best Chefs America. BRAVA By Brad Kilgore’s pastry chef & wife, Soraya Kilgore, completes the menu with her delectable, desserts that won a spot on “Miami’s Ten Most Artistic Dishes” by Miami New Times. 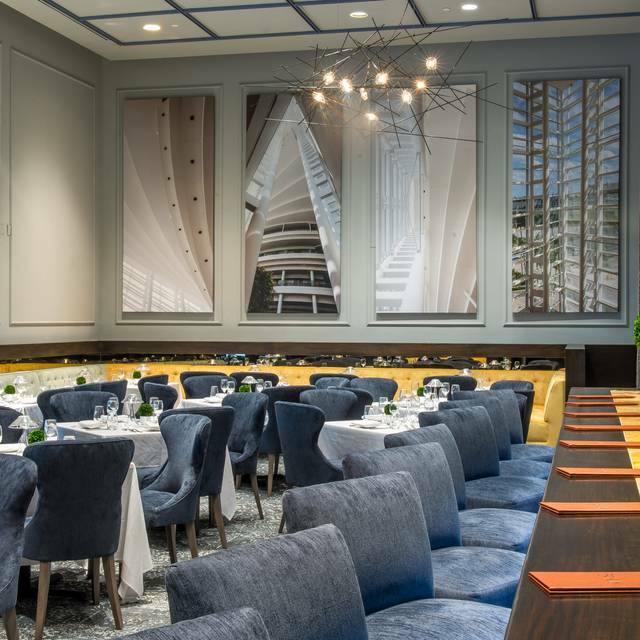 Located on the second floor of the Adrienne Arsht Center’s Ziff Ballet Opera House, BRAVA By Brad Kilgore offers scheduled seatings on performance days. OpenTable’s availability is subject to change. Please visit www.arshtcenter.org/BRAVA for an up-to-date seating schedule. All seatings are open to the general public, tickets are not required for dining. Season Three: Act One "un viaggio in Italia"
sweet corn, spring succotash, lobster "bernaise"
david ,the manager and brittany, our server, could not have been more accommodating. it is a shame that on this past sunday evening, the place was nearly empty. i understand that you have a high percentage of no-shows, which is unfortunate. however, i think your wines are terribly overpriced,and that is why i did not give you a higher rating on value. This was my first time at Brava and it was exceptional. The food was excellent and the service outstanding. Usually we have dinner before going to the Arsht but this time we were able to relax before going into see The School of Rock and not be rushing through traffic. I highly recommend this restaurant! Recommended only because of convenience to concert venue. Not only overpriced, but the bill includes a 20% tip, but also carries printed tip add-on calculations to fool the less vigilant to add 15% or 20% more. The food was good, but not excellent as the price would justify. Very Expensive, extremely small portion for the price!!! No salad, no bread......, very little food for the price!!!! 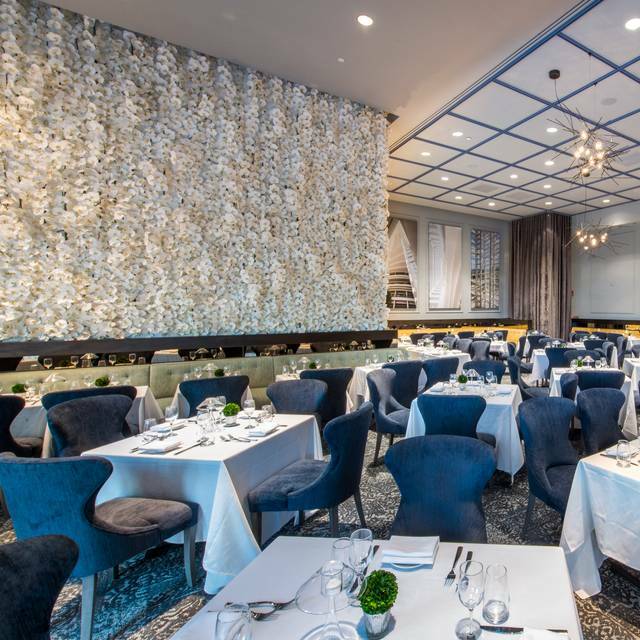 A genuine dining experience hidden in the Arsht Opera House. 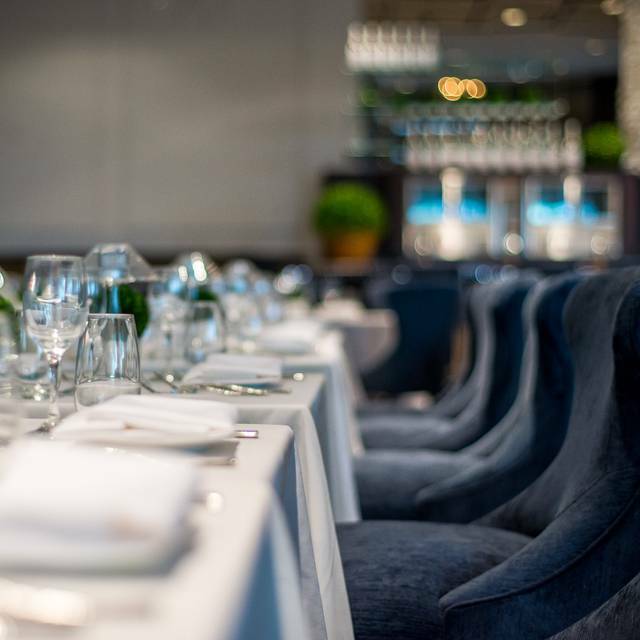 Service is attentive, if not a bit amateurish, the food is extremely well prepared, but the choices are a bit minimal, and not everyone will appreciate the artistry. It will also add up, with drinks, bread (an unnecessary charge at this price point), , and if you can, dessert. But if you are not on a budget, enjoy a genuinely upscale dinner. We didn't get to eat even though we arrived on time to our 6:15pm reservation as they never brought the food and the concert started at 8:00. We left at 7:45pm without eating. Terribly overpriced, horrible food. Service was mediocre, too, except for the man who cleared the table. Two waitresses and neither really know very much... We asked if there were any greens in the kitchen as they had removed the iceberg wedge from the menu. Not a single leaf of green in the kitchen, and this is the Spring Season? Appetizer: The duck tart was neither a pate nor a soup. A main plate: Crab cake we have had better. And shared the dessert. Dessert: frozen cheesecake. Could not cut through the cookie that doubled as crust. Whisper of what was supposed to be ice cream. Two glasses of prosecco and one glass of rose. That was all. Dined here Friday night before the ballet on a first date. Overall was a good experience. All of our food was delicious and beautifully presented. The plating is a work of art. Our service was good (not excellent) as one should have at the prices charged, which include gratuity. The table next to us was a disaster though. They kept bringing them the wrong food. At one point they brought us their bread while we were having coffee. I’m glad we had early reservations as things seem to go worse as the place gets busier. I really wish the online menu would be updated to reflect what’s actually being served that month at least. Having dined here before, I see the same problem occurring repeatedly. The servers need to be professional and have training to match the caliber of the food and prices. Some of the servers were very scared and uncomfortable. The place looks nice but the lighting is not well balanced and the orchid walls look tired now. I truly hope that these suggestions are taken in the spirit intended which is to better the dining experience for everyone. I love the concept of fine dining onsite at the Arsht. Overall was a beautiful evening and a great first date! We looked forward to coming to Brava. But the food we ordered, from the menu, even at 5:30, wasn’t available. Then, thevwine came HALF HOUR LATER! The food we did order came so late, after that, that we had to rush thru dinner to get to the 7pm concert at the arsht, and we’re not even able to get dessert and coffee. Even the lighting in the restaurant was “harsh”! This chef is so gifted. Why is this such a difficult thing to do right!!?? We came during the opening of the restaurant and found the same problems. We tried coming again and the same problems exist. We arrived 15 minutes late because parking was a zoo. Seated in corner next to large door that led to bathrooms and auditorium; lots of loud noises as people came and went. My dish was good, my wife’s was mediocre. Overall, not worth the substantial cost. The waitress was inconsistent in her hospitality towards us as compared to the nearby people. Dinner before the show. 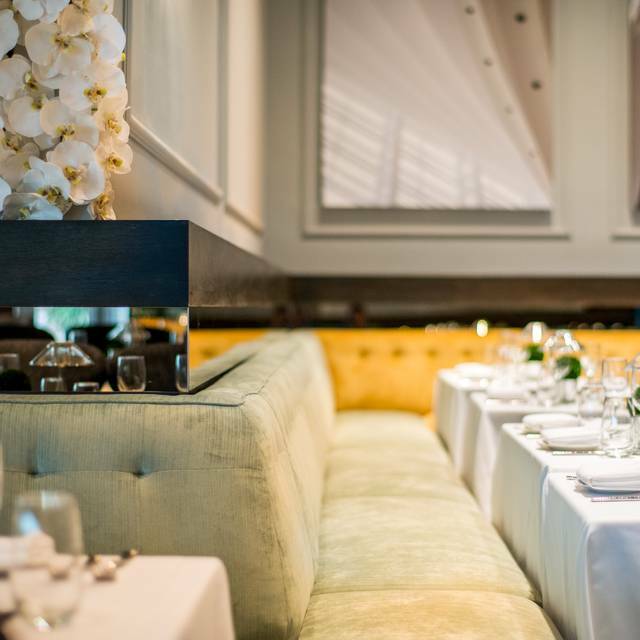 We took friends which were experiencing Brava for the first time and they were very impressed. The starters are good. But the service is awful! We were a party of 5, they brought the the main dishes just for 2. When they were almost finishing they brought another two, still missing one. Unacceptable. After all that, still add 20% as gratuities. Unbelievable. Pre theater dinner. Food and service was wonderful. Short rib Wellington was outstanding and a twist on Wellingtons I have had before. Presentation was great on every course. Definitely will return. First they called me to confirm. Make sure you are here on time. We only hold your reservation for 15 min Be on time. Ok always are. We were five on time. Food was great except one Wellington raw. Took so long. We were 20 min to play. Very disappointed. If you want us at the restaurant on time have our food ontime. Called back person that contacted me. Could not care less. We are season ticket holders. Think you alll should care. Just say!!!!! Good restaurant prior to showtime ! Our table was beside the bussing area so that was not so nice! We arrived early. We had theater tickets. The show started at eight. We waited and waited for our entree. We had to gobble our food. No time for dessert. Crab cake was ridiculously small and not flavorful. Waiter kept saying he was just a waiter and was unable to get food out in an expedious manner. Happy to pay for a good meal. Felt ripped off. Strange and unappealing menu. Food was weird and was sent back. Overpriced with a mandatory 20% gratuity. Overall a very disappointing experience on both my stomach and wallet. Be warned that you will have a similar reaction and to eat someplace else before coming to the Arsht Center. 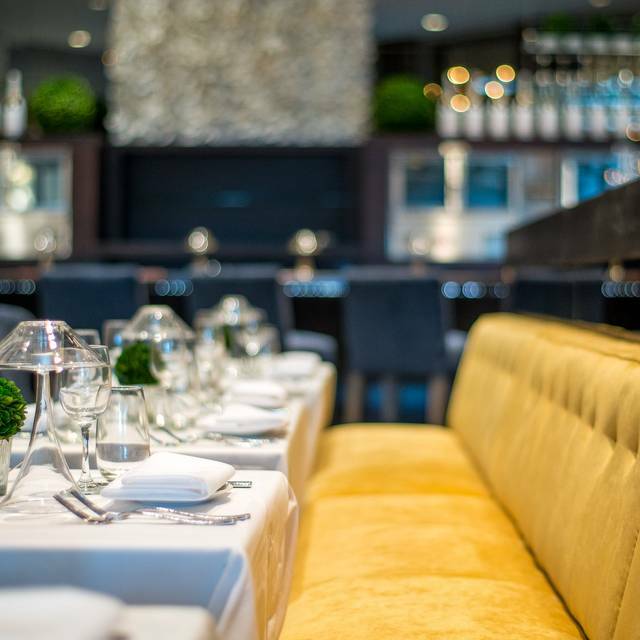 BRAVA met my expectations of excellent service, ambiance and delicious food. It is also very convenient when you are attending a performance because you can relax knowing you will be on time for the show. I do recommend booking a table one and a half hours before the show if you want to be done for the Justin Moss pre-opera talk one hour before the show starts. Food was superb - from appetizer to main course to desert. The ambience and service was also excellent. Prices are a bit high, but you do get good value for the money. 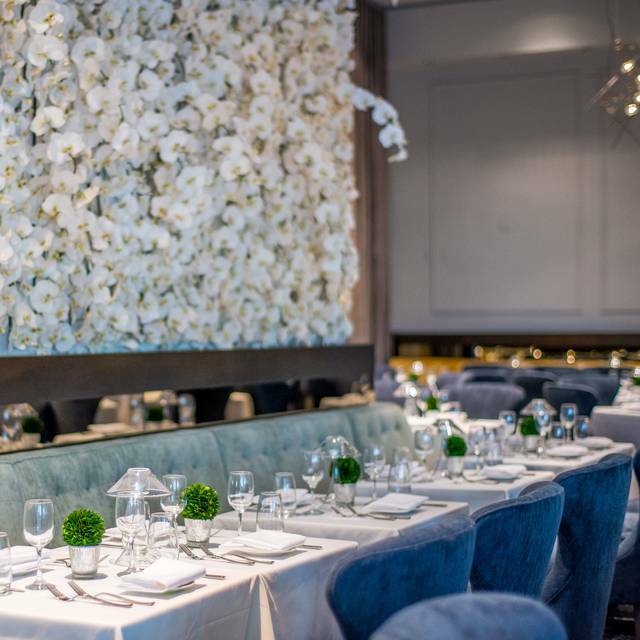 I would definitely recommend Brava for special occasions. We attended the opera and Brava was close, excellent food, fine service. We sat for 20 minutes before being asked about our drinks. The waitress was sooo slow, that we ended up having to keep asking for our drinks, our food and our check when we had not received our main course yet. This restaurant if they want a good review or a return visit should reimburse all of for this experience. We arrived with plenty of time, but due to an inferior waitress we had to leave without finishing to make the show. Then pay $200????? Never again. I also brought 4 others with me, who feel the same. Beautiful venue and some very good food, especially the duck confit appetizer and the chocolate torte desert. But a problem was that 3 of the 5 entree choices were already sold out at 6:30 p.m. They included dishes we had wanted. Not good planning on the restaurant's part. Another negative was the noise level which could have been better if there hadn't been background music. Great food and restaurant to relax and be with friends before a performance. The staff are attentive and will get you to your theater on time. Delicious food; terrific wait staff; quite pricey. Very convenient for pre-theater dinner. It was very pricey. They serve very little quantity. Food and service was excellent. We had an event at 8pm so got there early and waited an hour for our food.? Ordered at 6:30 and at 7:40 I had to seek out the waitress to ask where is our meal. ‘We have an 8pm Show.’ She sent the manager David over who told us we would not be getting our food. When asked why his response was he cannot get it to us for the show.’s start. We (table of 4; 2 from Pennsylvania) insisted on having a meal and determined we would be late for the show. When we received our meal we also received a check. I called him over and suggested he be a man of his word for the first tonight. David is in over his head and Mr. Kilgore has made a colossal error at what should be a mark of standard in Miami. Lesson learned and we shall find what will fully represent the elevated attitude and atmosphere of basic, courteous, and respectful handling of patrons. The short rib wellington was so amazing I have not been able to stop talking about it and can't wait to go back for it again! 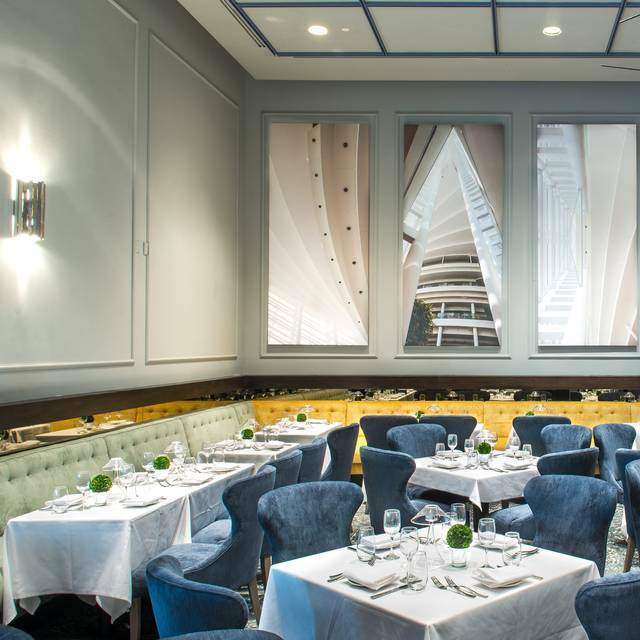 This restaurant is in the Adrienne Arsht Center and I had concert tickets there that night but I would go back for that wellington even if i didn't have an event at the Arsht! It makes sense if you want a decent and conveniently located meal before a performance. But the food was not spectacular and very over-priced. There are so many better restaurants for the money. They even charge for bread....its considered an appetizer. Survives on a captive audience. If it were not for the ability to avoid the show traffic by parking early and having dinner at the Arscht, this restaurant would be forced to improve to compete. Food is presented well, but uninspired. Anyone familiar with the Chesapeake realizes their crab cake is filler with less crab. Sea bass was good but for their costs, just not worthwhile except as noted above, it’s nice to beat the show traffic. I was disappointed to be denied reservation at the time I requested a table. I had asked for a table at six and was told everything was booked. After four calls I finally got a table with Open Table. It was upsetting to see about six free empty tables at the time we arrived. Not good!! Was seated at the window which was a door, very uncomfortable! The service was not up to par with such a location and its prices. The food was mid to fair and could use some refinement on flavor. Really a great spot for dining and theater, but truly misses its mark on excellence! Amazing food. Black Forest Cake was amazing. Very convenient for those attending a show at the Arsht. However, service was very slow even though the place was not crowded. Portions were adequate for one person, but very small if one wanted to share. Menu is short and pricey.